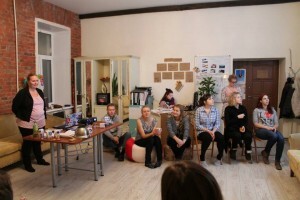 When AEGEE-Sankt-Peterburg wanted to organise a Network Meeting (NWM) several people doubted it could become a success due to being far away and because of expectations of visa issues. 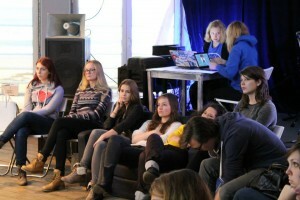 However, Mayri Tiido from the Comite Directeur, Monika Duda from ACT and Maria Arends from the Network Commission helped the antenna with the preparations and sessions and the NWM was organised in such a great way by the antenna that it lead AEGEE-Sankt-Peterburg to become Local of the Month. 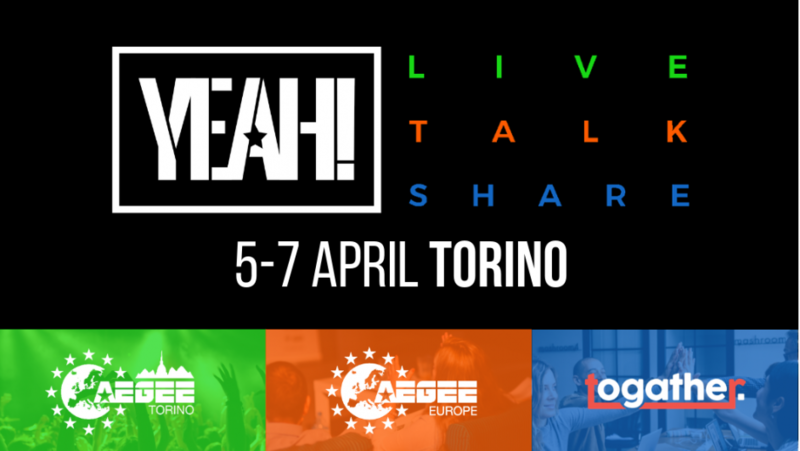 The AEGEEan interviewed NetCom Maria Arends to hear about why the antenna was nominated and the organisation of the event. The AEGEEan: Why did you choose AEGEE Sankt Peterburg as NWM host? Maria Arends: First of all, AEGEE-Sankt-Peterburg submitted a very good and detailed application. Really everything was included, strong motivation (they wanted the NWM to take place in Russia to prove that it is not impossible to apply for visa and that there is nothing ‘scary’ about Russia), a good budget, explanation about the visa support they were going to provide… So first of all, there was no reason to not choose them based on formal aspects. Then, me being an idealist as well, such great and intrinsic motivation really touched me. 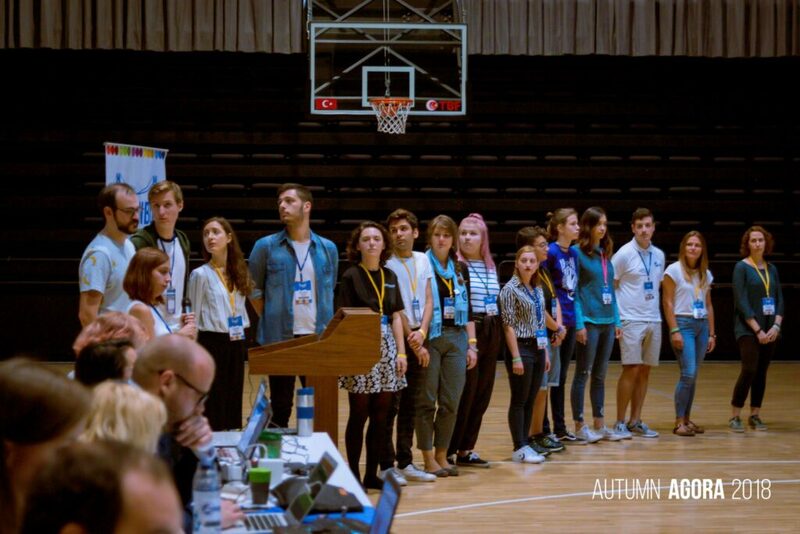 Even though some people told me that it might not work out very well, I decided to pair up with AEGEE-Sankt-Peterburg and prove everyone wrong! Very well! There were many fresh and motivated AEGEEans who, I think, learnt a lot about our wonderful organisation. The sessions went smoothly, we walked a lot with -10 degrees (but we had fun doing it) we had a very nice three-hour-long city tour through the main sites of the inner city of Saint Petersburg, though it is such a big city that you can never see all sites, and we had an amazing pubcrawl with shots of vodka and other kinds of spirits, which was interesting. Apart from that,the organisers have provided us with good food and an amazing accommodation in a hostel, which we had all to ourselves, it was so good to actually sleep in beds! 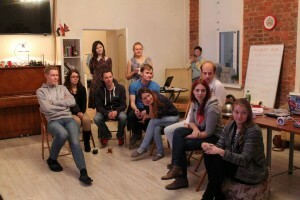 You work with AEGEE-Sankt Peterburg on a day to day basis, what is good about the antenna? How do they work? Firstly, they have meetings on a frequent basis, which definitely helps them. Also, they organise a lot of events, and a lot of members of their antenna go to other events in the Network. For the upcoming Network Meeting in Hamburg, I have seen a few applications. This definitely helps them to stay motivated. Furthermore, they have a newly elected board, which is great! 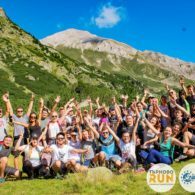 Of course they are also organising the Transsiberian Dream together with AEGEE-Moskva this year, and they do not get stuck in thinking about their problems, but rather take up a challenge (during the NWM they have proven that for example with fundraising). All in all, I think that AEGEE-Sankt-Peterburg is a really great and active antenna, which organised a really great event! (and I think all of the participants would agree with me. 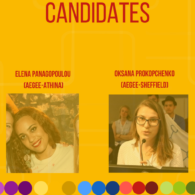 The AEGEEan interviewed Dina Sharonova the initiator of NWM and ex-President of the local, Anastasia Kachesova the current President and Anna Smirnova the responsible for visa section on NWM.AEGEE-Sankt Petersburg to hear more about the antenna and the event. The AEGEEan: How did the organisation of the event go? 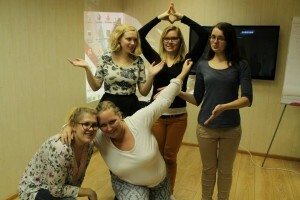 AEGEE-Sankt-Peterburg: Organising an event always requires a lot of great team work. Just a week before the NWM, we had some difficulties with a place where sessions were held, but we successfully passed all challenges. Why did you apply to host the NWM? 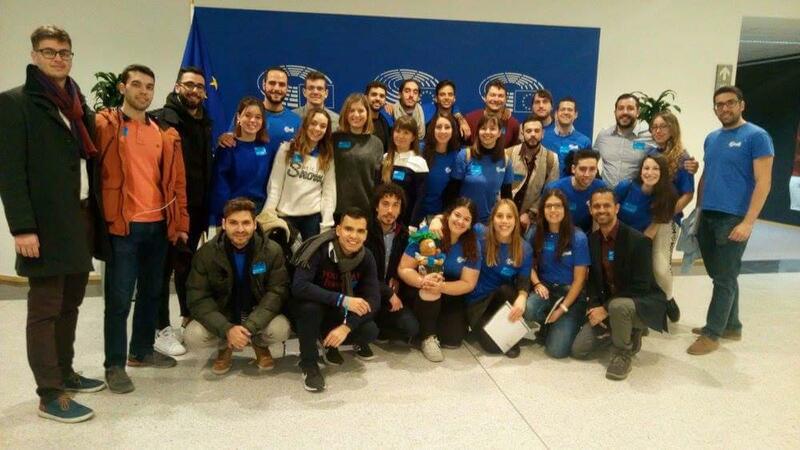 One of the main reasons was the willingness to prove that it’s possible to organise an official AEGEE event in Russia, despite all difficulties as visa procedures or absence of university support. 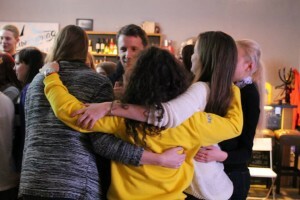 It was also important to us to show our participants and local members that a Network Meeting can be as fascinating as informal events or parties. We suppose both tasks were completed successfully. What do you think of the participants that took part in the event? Were they active? The program of the NWM was very intensive. We had doubts that it would be difficult for participants, many of whom were newbies in their locals. 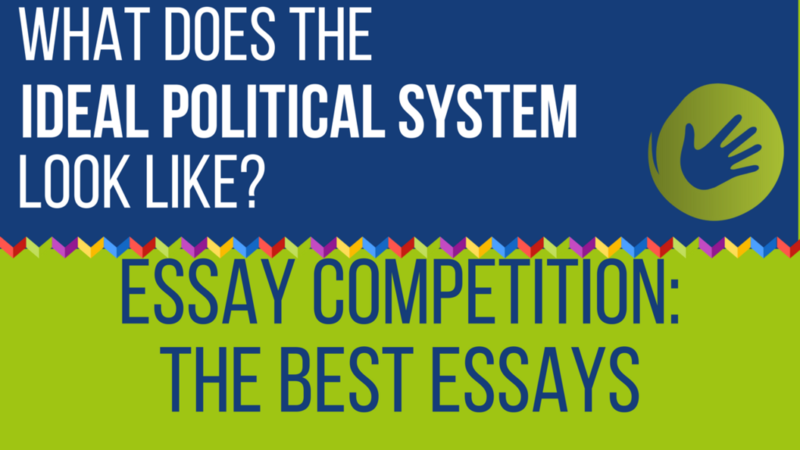 Fortunately, the participants were brilliant! They were active, easy-going, interested in topics and discussions. They filled the NWM with an awesome energy. What are the best memories you have from the event? There was a section about Russia&Europe on the threshold of EPM Burgos’ agenda. Due to the current political situation and mixed attitude in mass media we anticipated a lot of problems about this topic. 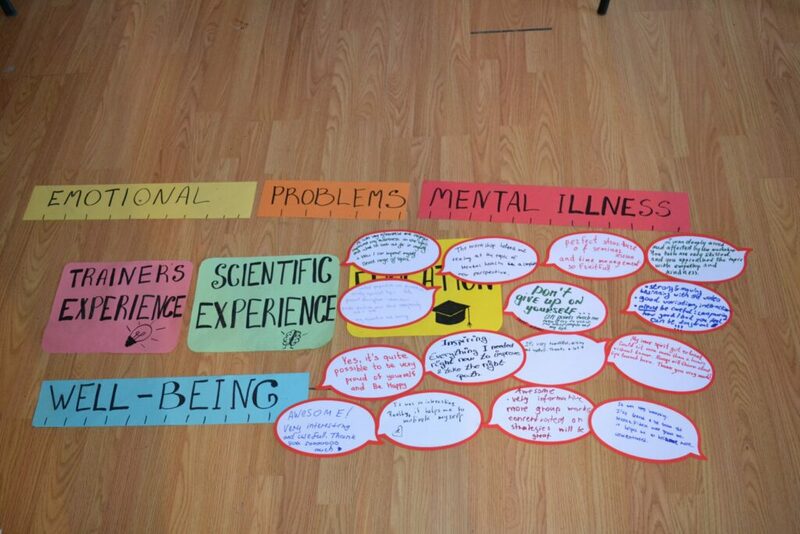 But participants of this discussion were respectful and open-minded. We were pleased to find out that the common point of view was that the division between Europe and Russia is artificial and brings nothing positive for both parties. How many members do you have in your antenna? How many of your members are active? 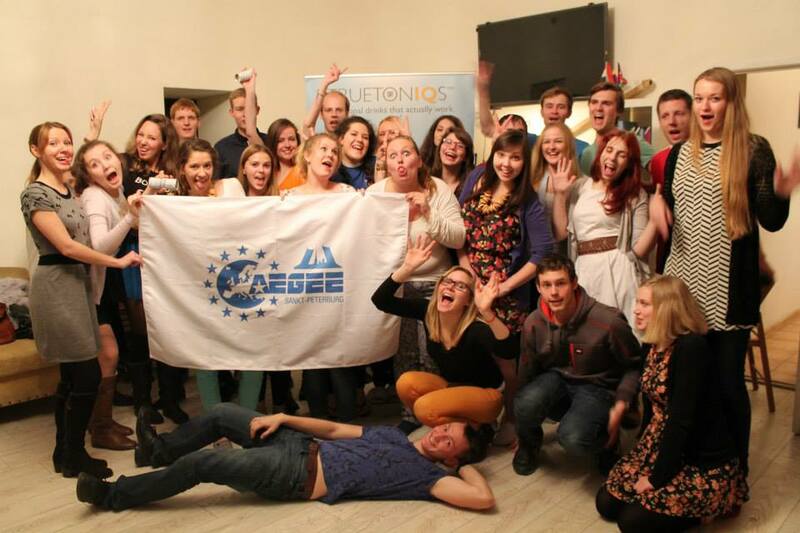 There are 70 members in AEGEE Sankt-Peterburg and 20-25 of them are active. What do you organise in your antenna? Every year we organize Summer University, at least one winter event and an exchange with other antenna. This year AEGEE Sankt-Peterburg and AEGEE Moskva present SU “Transsiberian Dream vol. 7 Far East Movement”, which goes backs to the roots, because it was originally made by our two cities. Transsiberian Dream is always legendary, but this year it is going to be something special! 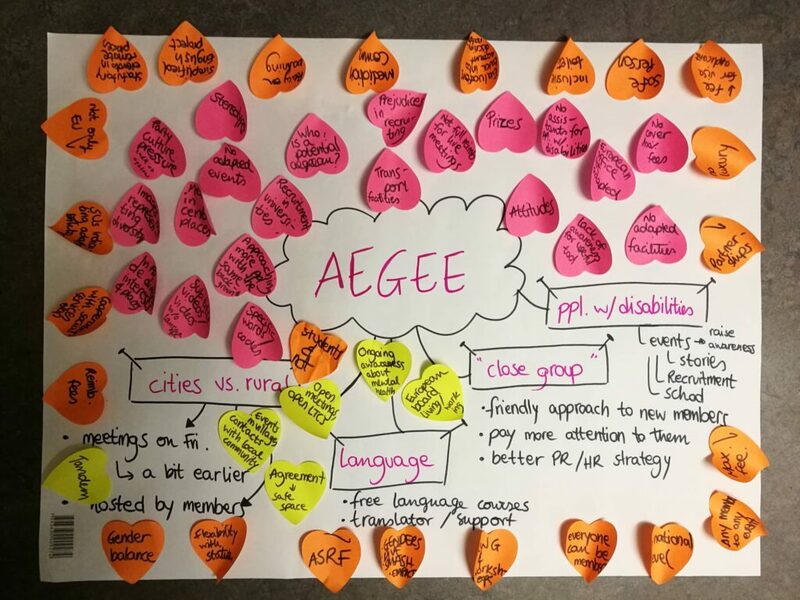 What is special about AEGEE Sankt Peterburg? 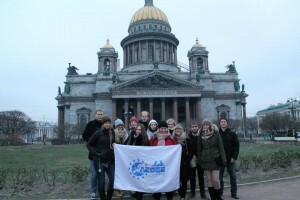 AEGEE Sankt-Peterburg is the most northern-located one, that’s why the NWM was called winter NORDIC magic. Also we’re active despite a few number of members and quite distant location. We live in the most beautiful city in Russia and we are open to all new ideas. 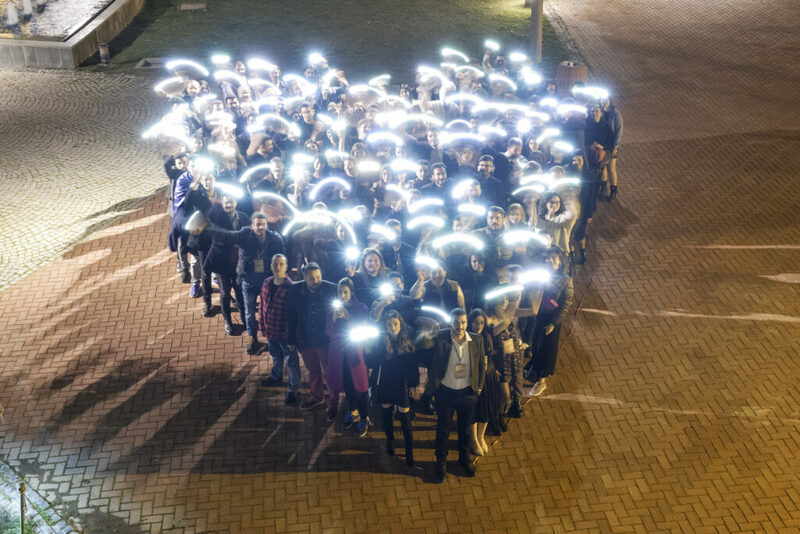 How did you collaborate with NetCom Maria Arends to prepare for the NWM? It was a perfect collaboration! Maria assisted us in filling Quality Assurance Committee (EQAQ’s) form, creating the thematic section of the program, kindly answered all our questions and was one of the trainers during NWM. She was the person on the European level who believed in the success of a NWM in Saint-Petersburg. 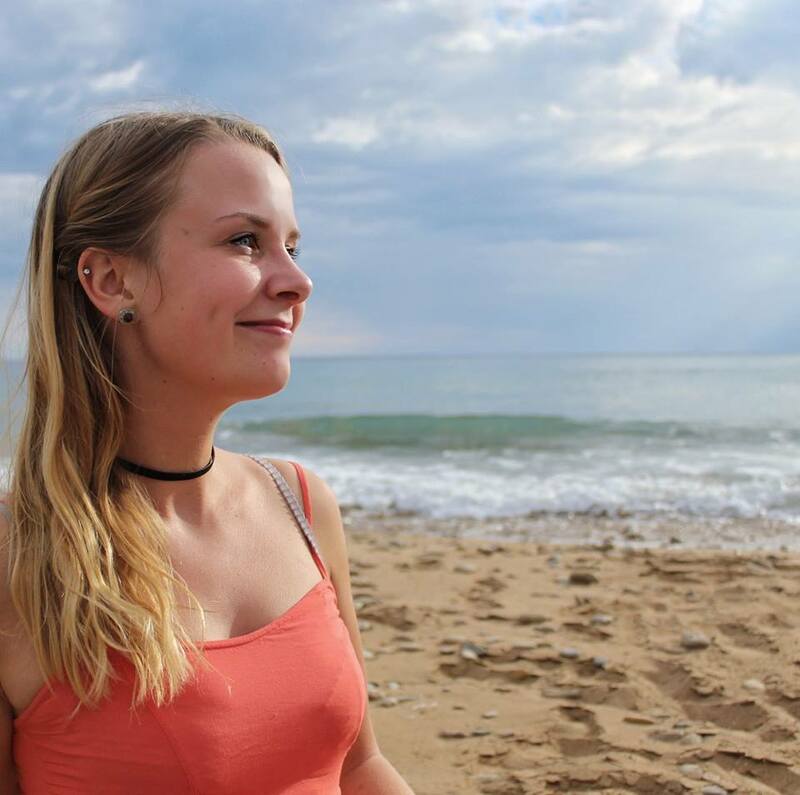 AEGEE-Sankt-Peterburg would like to express Maria our appreciate for her help! We’re a nice team. We have been told you gave a nice workshop on visas, what was it about? We understand that there are probably few locals which can raise awareness about visas and spread information. Usually, AEGEEans only have common idea about visas. The key to success was that all participants had their own experience with visa applications for the NWM. They figured out how different this procedure can be with the same rules of law and the same conditions and how important is to keep attention on this topic. 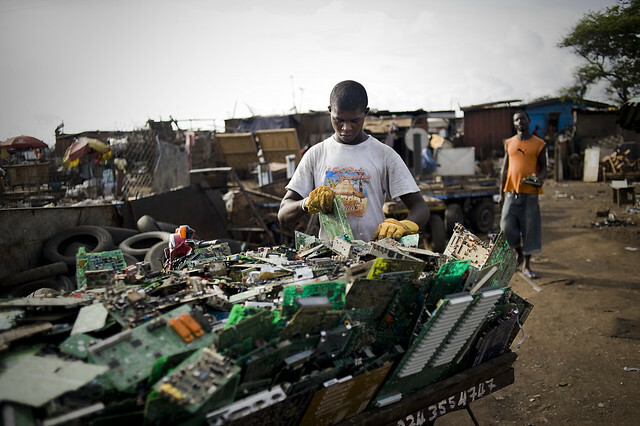 What do you think about the Visa Freedom Working Group having been closed? It’s a reflection of a tendency of lack of interest for this topic. Usually Europeans think that the visa topic doesn’t concern them, as they mostly didn’t face it. However, this question does exist and we tried to show the importance of this problem to our participants during workshop. 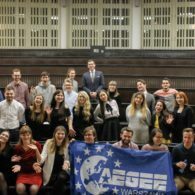 Also as we discovered during the NWM, laws and procedures are completely different in all countries even though it is not supposed to be, so it would be nice to have a Working Group in AEGEE, which will inform and support members, as well as stand for our rights. What experience do you have with visas? 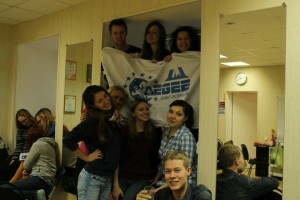 Usually AEGEE Sankt-Peterburg provides free visas and special support for all participants. We are glad to open up countries and places, which AEGEEans probably would never visit without AEGEE and youth cooperation. 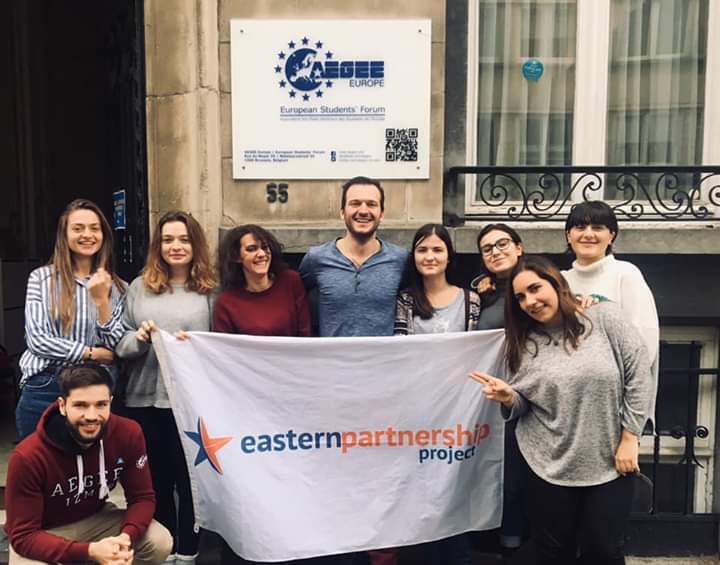 On the other hand, all members of AEGEE-Sankt-Peterburg gather official papers and visit embassies or consulates at least once a year and fill the application forms for their own travels. Have you done anything in your antenna after the NWM? First we had the local board elections. Now we are in the active process of organising Transsiberian Dream vol. 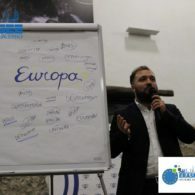 7 in cooperation with AEGEE-Moskva to make this SU unforgettable. What are your upcoming plans for the antenna? We’re going to participate in the Restaurant Day in February, have an exchange with AEGEE-Minsk and fire on our Summer University. Soon we will visit AEGEE-Moskva in the capital of our country to make the organisation even better.